Grab a reservation now to spend New Year's Eve at one of these Arlington-area hot spots. Celebrate New Orleans style at this Mardi Gras-themed New Year’s Eve party in Tysons Corner. Barrel & Bushel will feature music from DJ Hightower, tastings of more than 40 bourbons and beers, king cake, appetizers, party favors and a Champagne toast at midnight. Party goes from 9 p.m.-2 a.m. Tickets are $65 per person and can be purchased at eventbrite.com. Reservations are still available for New Year's Eve dining at Bistro 360, which will offer seatings at 6, 8 and 10:15 p.m. with a special dinner menu. The four course, prix fixe menu is $59 per person and includes entrees like filet mignon, veal schnitzel and roasted chicken provencal. Prefer to ring in 2016 with a glass of vino? The wine bar will be open starting at 4 p.m. December 31. Dinner reservations available at opentable.com. Late night revelers will appreciate the transformation at this upscale taco-and-cocktail spot as it turns into one big party. Tickets are still available starting at $45 per person online, which includes three drink tickets, party favors and VIP entrance before 11 p.m. Ticket price will increase to $55 and $65 as we get closer to New Year’s Eve. Table reservations also available. Tickets available via Eventbrite and at dontitova.com. Snag a late reservation at this Clarendon restaurant to celebrate with a midnight Champagne toast and party favors. Reservations are available from 5:30-11 p.m. for the $55 five-course menu, which includes a choice of ancho-rubbed grilled quail, cowboy ribeye or grilled lobster. 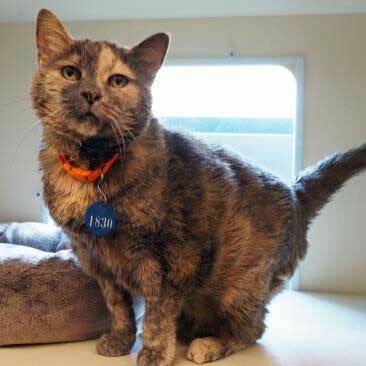 Want to grab a fine meal and be home in time for the ball drop? Green Pig Bistro has you covered with dinner service from 5:30-9:45 p.m. The $55, three-course menu includes options like duck miso soup, beet salad, scallops, roasted duck, New York strip steak, hot chocolate cake and bread pudding. Call for reservations. New Year’s at this Falls Church brewpub means live music from blues guitarist Tom Principato, a three-course dinner menu, drinks, party favors and a midnight toast. General admission tickets ($32.64) just include entry for the music, while an $80.12 ticket includes dinner, music and one drink. Both include party favors and midnight toast. Tickets are available at eventbrite.com. Event starts at 9 p.m. Choose dinner, party or both at Marble & Rye’s New Year’s celebration. Seatings for a four-course prix-fixe dinner at this newcomer to the Pike begin at 5 p.m. Dinner is $50 per person, with entrees including prime rib, rack of lamb or mushroom potato gnocchi. 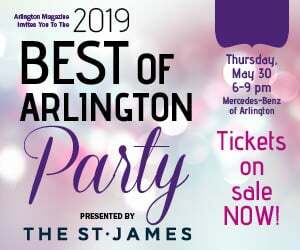 At 9 p.m. the party starts with drinks, party favors, a DJ, late night bites and a midnight toast ($45 in advance or $55 at the door). Tickets available at marbleandryeva.com. The Ballston location of Mussel Bar will ring in the New Year with a Champagne or beer toast for guests at midnight, plus a special dinner menu including foie gras, smoked prime ribeye, lobster Thermidor and veal chops. Head to Piola for New Year’s Eve and celebrate with a DJ, party favors, a Champagne toast and (naturally) pizza. Reservations available (and recommended) by phone. Revelers in Courthouse can stop by Ragtime for music by DJ Luccdog from 10 p.m. – 1:30 a.m. Come in early for Ragtime’s dinner menu, including jambalaya, steak, sandwiches and more. Sea Pearl will ring in the New Year with an $80 per person, three-course dinner and live music. Reservations available by phone or online at OpenTable.com. Choose one of two tasting menus offered at Secret Chopsticks, the new fine dining destination in Rosslyn’s Turnberry Tower, from 5-10 p.m. on New Year’s Eve. A six-course menu runs $80 per person, or upgrade to a nine-course menu with Champagne toast for $130 per person. Dishes include crabmeat egg drop soup, seared scallops with garlic sauce, spicy frog legs and braised short ribs. Call for reservations. Craft brew lovers can count down at Sehkraft brewpub with a few pints, plus live music from local supergroup Fusterclunk and DJ Scruggs. Tickets are $25 per person and include food and drink specials, party favors, snacks, a New Year’s toast and Hoppin’ John at midnight. Reserve your spot at giftrocker.com. Celebrate the New Year with a Spanish twist at SER. Seatings are available at 5:30 and 7:30 p.m. for a six-course tasting menu featuring oysters, wild mushrooms with salt-cured egg, rack of lamb and more. Dinner is $60 per person (plus $30 for wine pairings) from 5-7:30 p.m. and $90 per person (plus $40 wine pairings) for reservations from 9-10:30 p.m. Late reservations include party favors, Champagne toast, live music and the Spanish tradition of 12 grapes at midnight. Call for reservations. Ring in 2016 in Clarendon as Whitlow’s on Wilson hosts its New Year’s Eve party starting at 8 p.m. Tickets are $30 per person and include appetizers, party favors and a Champagne toast at midnight with live music by Back to Zero. Tickets available on giftrocker.com. This hot spot on the Pike will offer specials all day, but stop by after 9 p.m. for the official NYE party featuring Brad Pugh and DJ Special Ed. No cover, but reservations for dinner are suggested. Grab a reservation now for a dinner seating at 2941 from 5-10 p.m. on New Year’s Eve. A three-course, prix fixe menu is available for $105 per person, including wine pairings. Meal options include tuna tartare, lobster cannelloni, veal sweetbreads, steamed sea bass, Japanese snapper, hazelnut beignets and sticky toffee pudding. Reservations required. Did we miss your favorite local restaurant to ring in the New Year? 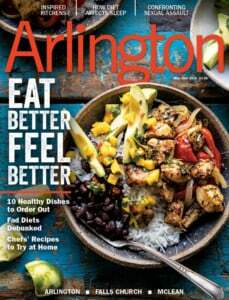 Email emily.vanzandt@arlingtonmagazine.com and tell us about it!